which brings a smile onto your face. 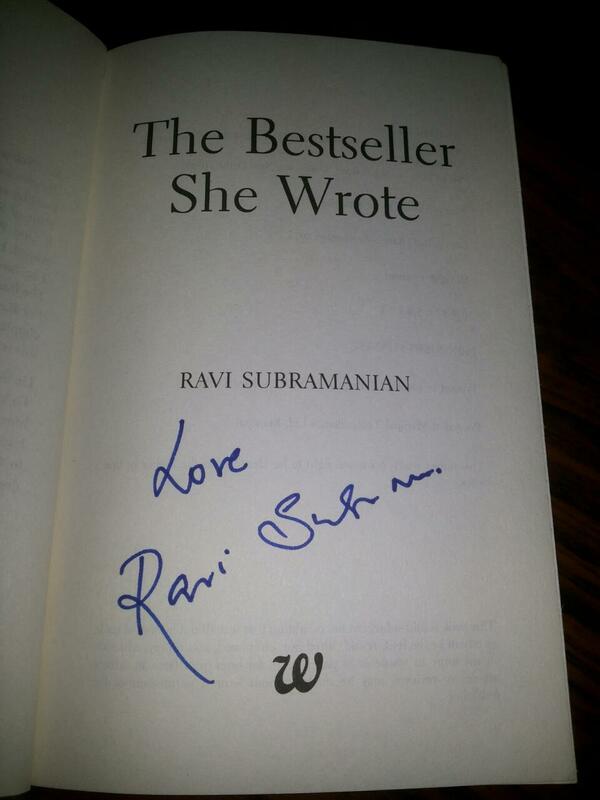 The bestseller she wrote begins in a packed auditorium of IIM, Bengaluru, where a branch director of National Bank, an alumnus of the same institute, and yes, of course, an author who has four books to his credit, has come. His books have sold four million copies and two have also been made into a movie. In short, he’s a super successful author! Shreya, is an ambitious girl who is beautiful, outspoken, young and reckless, who always aspires to become a successful author. Somehow, Aditya and shreya end up in a verbal spat, strangely or so, their anger soon turns into love/ attraction/ infatuation. This happens when shreya actually reads Aditya’s books that she feels attracted to him. Their worlds intertwines and the magic of love spells. Aditya who is enchanted to her is actually married to a loyal, devoted woman- Maya. After some romance between shreya and Aditya, we realise that Shreya is actually quite self-centered and is only using Aditya for realising her dreams. We realise this by the way she brings out the topic of manuscripts and dream of writing amidst some romantic moments. Maya, Aditya’s wife (Whom you pity while reading.) gets infected with a deadly disease. And, when she is dealing with this trauma, she gets another shock of her life when she discovers something fishy in Aditya’s phone and thus gets to know his unfaithfulness towards her. Soon, Aditya realises his mistake of cheating his devoted wife. He asks for her forgiveness and tries to end his demeaning relationship with Shreya. Shreya is aggravated with this and threatens him to destroy his career. How? You’ll know when you read. Will Maya accept Aditya’s apology and will the both be together? Or the love story of Shreya and Aditya will take a new positive turn? Will shreya be successful in publishing her book? Will Sanjay a family friend of Aditya, help him get out of this mess? Will Shreya destroy Aditya’s career? You’ll get all the answers when you read the book. You can read this synopsis on the back cover. The cover page might make some readers misjudge the book to be a romantic love story, but NO! It’s not just a romantic love story, of course, there’s romance, but it’s a thriller too! Like every Ravi Subramanian novel, this one has many twists and turns. The characters play with your brain, you trust a character in one chapter and they betray you in another chapter. Thus, I being a fan of the narrative style of Ravi Subramanian with many thrilling twist and turns, wasn’t disappointed at all. This one has romance, betrayal, redemption and hidden greed all coated with surprising thrills which make it a perfect read! The way Ravi Subramanian has introduced all the characters, all seem to wearing a mask. Their true faces are revealed as you read. 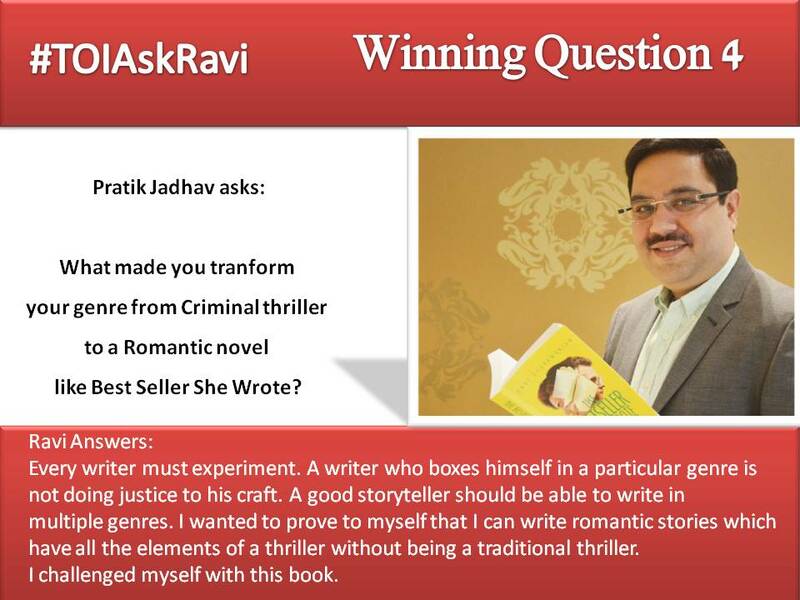 Though a romance novel, Ravi sir has kept the thrill element alive. Fast paced. Ravi sir doesn’t waste time describing unimportant things like the colour of the clothes or what the characters are eating. He writes to the point and keeps the readers glued to the book. All the current affairs are mentioned like, Ebola, Blogadda, Iphone-6, Twitter trends, which makes the story seem fresh and new! Some characters needed more in-depth information. e.g Melvin. Yes only one negative point, otherwise this book is too awesome. So, has he successfully won his challenge? Yes, he has come out with flying colours. ← The Joy Of Reading.